Today I'm jumping right back into my Mattel Cars 3 1:55 scale diecast collection and taking a look at Tommy Highbanks, also known by his sponsor Faux Wheel Drive No. 54! I know, these Piston Cup stock car racers aren't the most exciting of the diecasts (since they're all more or less the same mold), but hey, they must be documented with the rest of my collection. Tommy here is no exception! As shown in the screen shot above (sorry that it's a blurry image, but I had to resort to one of the Cars 3 trailers), Tommy can be seen whizzing by the camera in several shots at the beginning of the film. Tommy superseded Johnny Blamer, who was the Faux Wheel Drive racer seen in the original Cars. And yes, Tommy and Johnny look almost identical to each other; so much to the point I wish there was a bit more of a contrast in their designs. However, Tommy does get replaced by "next-gen" racer Herb Cubler in Cars 3—who we'll also be getting as a diecast single later on this year. Now THAT one is different and cool looking. I'm excited for that release. 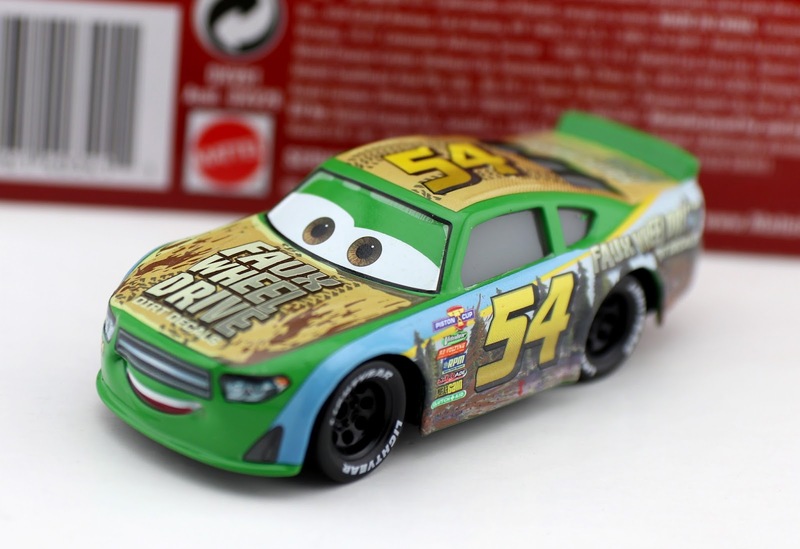 This one is pretty average, but us Cars collector have to get all the Piston Cup racers! They're essential. 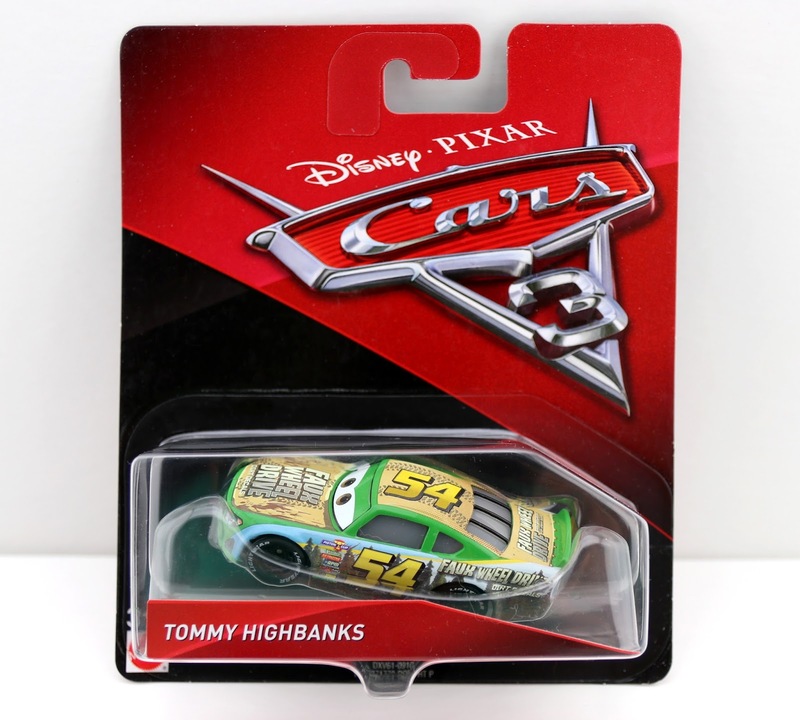 Even though Tommy here was released clear back on May 1st (with the initial launch of Cars 3 products), he is still very easy to find on store shelves (If you're in the US, Walmart, Target and Toys R Us are your best bets). If you're looking for this one still and would rather just pick him up online, check out my direct link to Amazon below.